Hungarian average gross and net salaries grew by 10.4% year-on-year in November, showing a minor upside surprise. However, when we compare the first and second half of 2018, it is quite clear that there is a trend of deceleration. Wage growth in the private sector (11.1% YoY) has outpaced the increase in the public sector (8.1% YoY) for a fourth month in a row. However, this phenomenon is mainly due to the difference in premiums and one month bonuses, as the public sector has been lagging behind in this category in the past months. Wages rose at an above-average pace in construction, retail and the hospitality sector amid a labour shortage, while wage settlements in the public sector pushed salaries higher in education, healthcare and law enforcement. 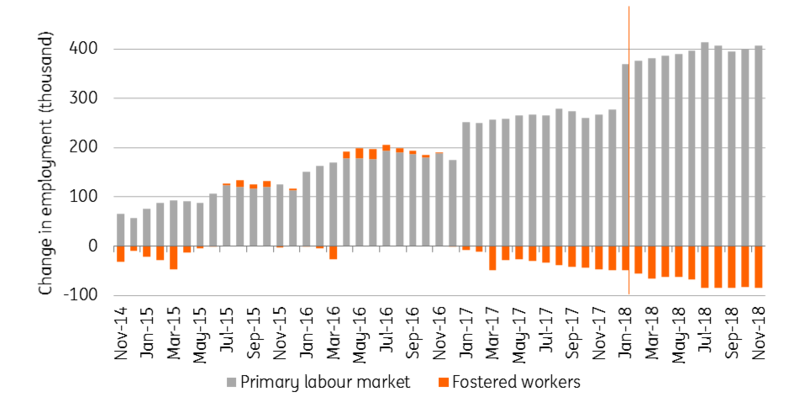 Labour demand on the primary labour market increased further by 37k between January and November, showing a 1.2% increase. The number of fostered workers has been fluctuating between 113-115k for the last five months. 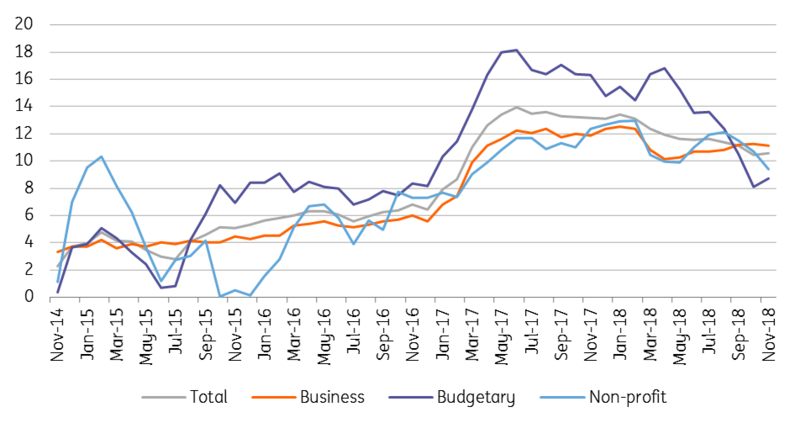 It is really hard to guess the outlook for wages in 2019. 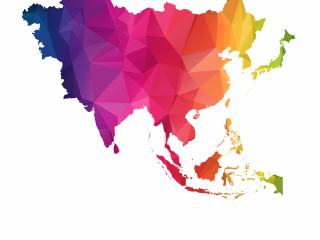 The 8% increase in minimum wages for both the skilled and the unskilled labour could be a good starting point. However, as the Statistical Office is changing its methodology from January, it is hard to forecast. Another important thing is the huge makeover made in fringe benefits, as the government increased taxes on these. This should push companies to compensate affected workers in their salaries at least partially, but at the end of the day due to the different taxation, workers will face a lower increase in real disposable income than the official wage statistics will show.